A few months ago I blogged about uber-cool jewellery designer, Galibardy. The edgy brand, originally selling in London’s trendy spitalfield’s market, have shot to fame since appearing in cool fashion mags such as Vogue, Stylist and Grazia. I’ve been lusting after a few items in their range for ages, and am so glad to finally own 2 pieces! 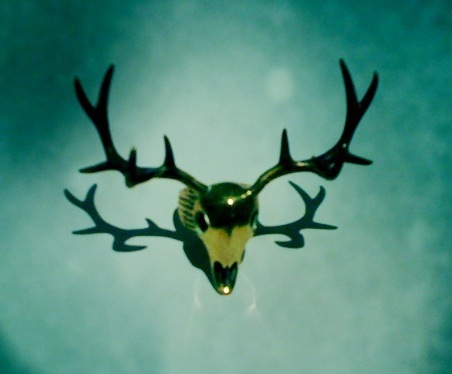 The stag skull ring in brass (pictured above-£18) and the Stag Skull necklace, in brass with white enamel (£21). I absolutely love them both (they are perfect for adding some edge to a pretty dress and very on trend for the A/W county look) and am so impressed with the service, price and quality. I think my obsession is set to continue….watch this space!